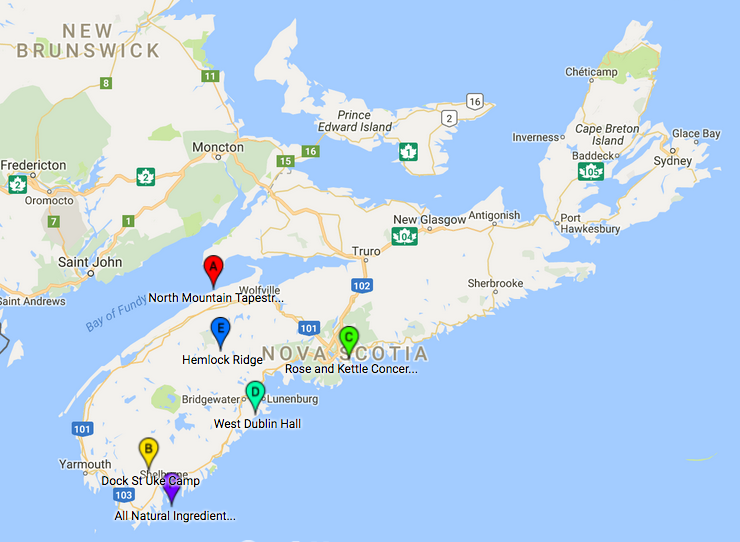 Nova Scotia tour, fall ukulele classes, and more! Greetings from Nova Scotia! We are smack-dab in the middle of our Gathering Sparks tour, and we are having a great time. However, even in our absence, the Singalong Soirée carries on this Sunday, hosted by our friends Sue and Dwight. We hope you will go and sing your hearts out. 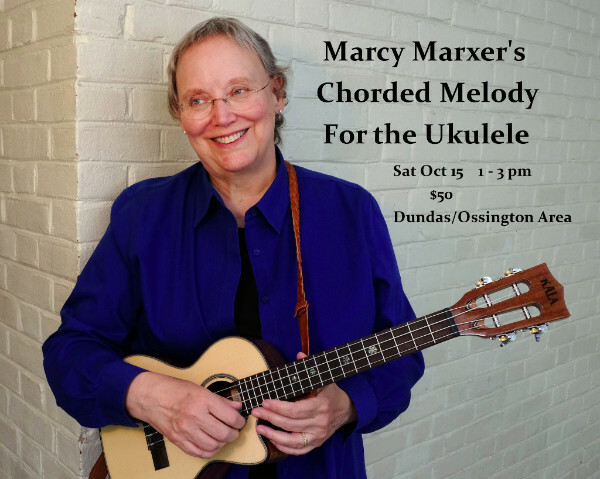 In other news, the fabulous Marcy Marxer is coming to Toronto in a few weeks and she will be leading a ukulele workshop while she is here. I'm also excited that Steve Baughman is coming to Toronto in early November and he'll be leading a few workshops and performing a concert. Trust me, you don't want to miss this event. Even if you have never heard of Steve, you will not regret reserving your spot and making a point to be there. Details below! Thanks as always for reading, and hope to see you soon. Would you like to be able to play solo ukulele arrangements of your favourite songs? 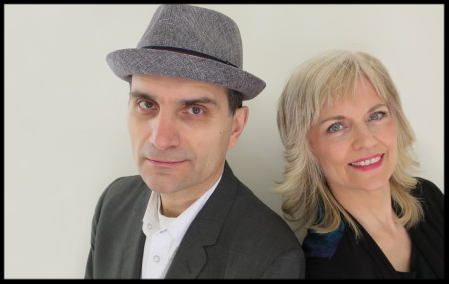 In two fun hours, Marcy Marxer will take the mystery out of creating chorded melody arrangements so you can create your own. Suggested for players early intermediate and up. Printed handouts will be provided. Prepay by e-transfer to reserve your spot. Specific location information will be provided once you have registered. 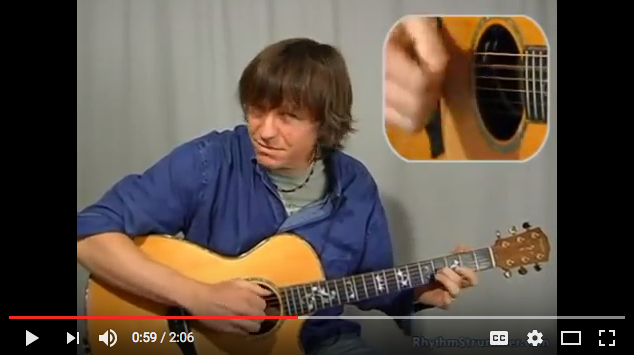 Don't forget you can take online guitar lessons from me at Jamplay.com. Click here and enter code 5E98941F20 for a week-long free trial. Gathering Sparks NS Tour Continues! See the calendar below or our website for specifics. Steve Baughman is a soulful player who moves effortlessly across genres…Celtic, American Old Time, Breton, Hawaiian, and songs to sing along with. A masterful musician, Steve’s performances are intimate, informal, and entertaining. He will be offering two workshops on Saturday afternoon: clawhammer guitar and "contemplative banjo." $35 each or $50 for workshop and concert. I am not involved in this concert/workshop event at all, I just love Steve Baughman and I know you will too. Don't miss it! 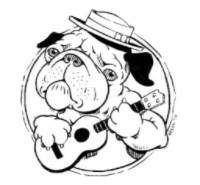 There are still spaces for some of my fall Parkdale Ukulele Group (PUG) Classes and the Ukulele Orchestra starting in mid-October. *West Dublin Hall, West Dublin, NS. email alex@alexsings.ca for reservations and info. *House Concert, Springfield, NS. email katwatringellis@icloud.com for reservations and info. *All Natural Ingredients House Concert, Shelburne, NS. Double bill with Naming the Twins. email namingthetwins@gmail.com for reservations and info. *John Prine Shrine, Hugh's Room, Toronto, ON. With Caitlin Hanford, Ariana Gillis, Jory Nash, Scarlett Jane, Jason Fowler and more. ...will be back next time! Copyright © 2016 Eve Goldberg, All rights reserved.